Heidi has recently had the good fortune to attend a very interesting and inspiring Master Class in a specific technique of glassmaking in Bavaria. 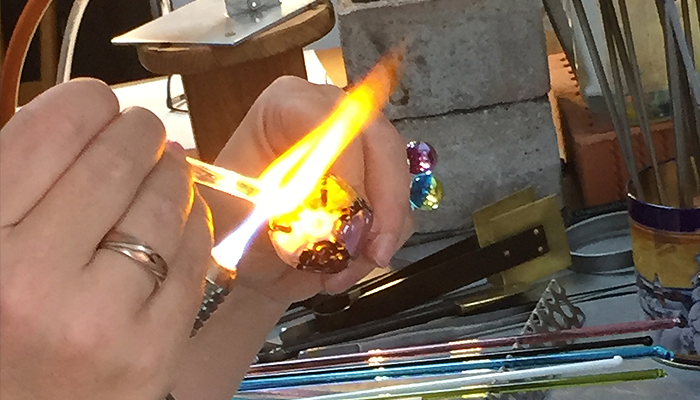 The course, led by the very talented Martina Römer at Karina Stieler’s studio was a fantastic opportunity which will help add to the Heidi Kjeldsen glass jewellery collection and make it even more exciting. As many of you will know Heidi currently creates jewellery with glass using the lampwork technique. 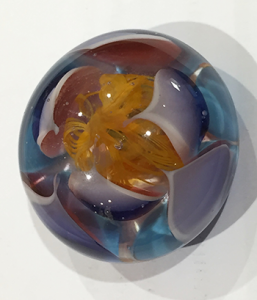 It has allowed the creation of beautiful floral designs within glass beads that form part of Heidi’s Murano glass range which you can view here and in the Mill Street showroom. Be sure to keep your eye on the Heidi Kjeldsen website over the coming months for some new and exciting pieces of glass jewellery. The lucky winner of the gorgeous pair of Amethyst Drop earrings was Anne Daly, Congratulations Anne.